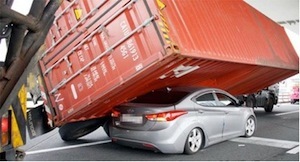 Altadena Truck Accident Injury Lawyer - Over 38 Years of Experience You Can Trust! The age range for male licensed drivers with the most injury collisions is between 45-49 and for women licensed drivers is between 50-54. Are you looking for a Truck or Car Accident Injury Attorney in Altadena, California? Our Altadena truck accident attorneys and law firm are known for providing expert personal injury legal services for those injured in truck crashes and for the relatives and families of those killed in truck and other fatal accidents for wrongful death claims in Altadena, California. Our Altadena personal injury lawyers also provide legal services for car accidents, motorcycle accidents, uninsured motorist (UM), underinsured motorist (UIM) and wrongful death claims. If you’re injured in a truck collision or other personal injury claim, you can contact us for a completely FREE CONSULTATION. Our law corporation provides truck accident and personal injury legal services in Altadena, Los Angeles County and other parts of California. You can get more information about our Altadena & Los Angeles truck accident personal injury & wrongful death lawyers and Law Corporation by visiting our home page, our lawyer profiles, and our personal injury & wrongful death case testimonial pages. An unincorporated area in Los Angeles County, Altadena is situated just north of the city of Pasadena. Lying around 14 miles north of the downtown Los Angeles Civic Center, the Altadena community reportedly had a population of about 42,777, according to the 2010 U.S. Census. The California Golden Poppy is the official flower of this area. Since 1920, it has a gorgeous Christmas attraction every December, Christmas Tree Lane, which is one of the oldest large-scale outdoor Christmas lighting spot globally. It spans across .7 mile on Santa Rosa Avenue, from Woodbury Road to Altadena Drive. 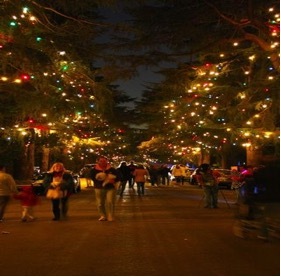 We have included a photo depicting this special event on Christmas Tree Lane in Altadena, Calif.
Immense experience in resolving thousands of car accidents, truck accidents, personal injuries inflicted and wrongful death cases throughout Los Angeles, the San Fernando Valley, Ventura, Riverside, San Bernardino and all of California. Success rate in excess of 95%. Immediate assistance with medical care, property damage repair and settlement, loan cars, monetary advances, medications, prescriptions, etc. We urge you to call us 1-866-INJURY 2 or 866-465-8792 or 818-222-3400 (after hours, press 1) for a FREE, no-obligation consultation and to learn how we can assist you further. Alternatively, you can email us at info@WalchLaw.com or just use our easy contact form to tell us about your case. FREE Consultation: NO fee until you WIN!